Gummo is a 1997 film written and directed by Harmony Korine. It is the first feature film directed by Korine. It was produced by Independent Pictures with a budget of 1.3 million dollars and filmed in Nashville, Tennessee, although the picture is set in Xenia, Ohio. Gummo premiered at the 24th Telluride Film Festival on August 29, 1997. It began its theatrical run in the US on October 17, 1997. 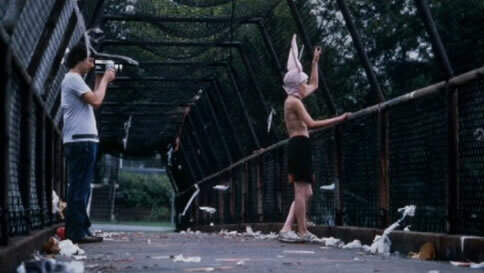 Harmony Korine's film Gummo follows no particular narrative trajectory, nor does it end in any conclusive way. It presents a series of dispassionate vignettes -- the effects of a tornado, two paint-sniffing adolescent boys, two teenage girls exploring beauty and sexuality -- which are remarkable for their realism and lack of narrative rhythm. This meandering reflects Korine's insistence, following French director Jean-Luc Godard, that a film should have a beginning, a middle, and an end, but not necessarily in that order. Korine has constructed a film in which the historical identity and daily concerns of Gummo's working-class characters are neither romanticized nor patronized. The film takes its name from the fifth, and lesser known, Marx brother, Gummo, who dropped out of their shows before the brothers became famous. A tornado actually did hit the real city of Xenia, Ohio, in 1974, devastating the entire area, as we hear in the opening of Gummo. It is said to be the most studied tornado in history and was described by President Richard Nixon as "the worst disaster I've ever seen." Linda Manz had not appeared on film for over fifteen years when she accepted the role of Solomon's mother in Gummo. There is a piece of bacon taped to the wall behind Solomon in the bath scene. Concerning this, Werner Herzog told to The New York Times, "When I saw a piece of fried bacon fixed to the bathroom wall in Gummo, it knocked me off my chair. [Korine's] a very clear voice of a generation of filmmakers that is taking a new position." Tummler is yiddish for "agitator," and, according to Korine, "the name Tummler was given to the kind of lower level comics, Catskill comics from back in the day. The guys that would check you into a hotel room, take your coat, and at the same time throw a few one-liners out. They're like the warm-up, the lowest level comedian. The tummler." Director Bernardo Bertolucci declared the film and its creator capable of "creating a revolution in the language of cinema." Korine would later receive love letters from Jean-Luc Godard after he saw the film. The actor Johnny Depp, also a fan, described Gummo as "one of the most truthful pieces of filmmaking in a long time." In the screenplay Solomon is described as looking like "no other kid in the world." The original concept for Gummo was kids living in the aftermath of an earthquake. Chloë Sevigny is credited as costume designer for the film in addition to her acting role. A small clip from Gummo appears in Hype Williams' feature film debut, Belly (1998). Film critic Jeff Lester explained in his review of the film: "After a gang of toughs rob a nightclub, they come back to somebody's crib and turn on the TV and come in on the middle of Harmony Korine's Gummo. It's a great moment, as tough-eyed gangstas stare disbelievingly as two kids in cowboy hats swear and pretend to kill a young kid with bunny ears. The scene seems more a statement of comradeship than of dismissal, as if the director is promising to do the same thing for gangsta youth that Gummo did for poor white trash. He doesn't even come close." Director Errol Morris vowed to vote for Gummo as Best Film on his Academy Award ballot. Nominated for the Grand Prix Asturias Best Feature award at the Gijón International Film Festival in 1997. Winner of the Special Jury Award at the Gijón International Film Festival in 1997. Winner of the Open Palm Award - Special Mention at the Gotham Awards in 1998. Winner of the KNF Award at Rotterdam International Film Festival in 1998. Winner of the FIPRESCI Award - Honorable Mention at the Venice Film Festival in 1997. 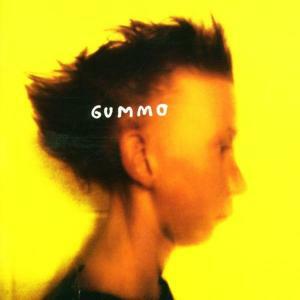 The soundtrack to Gummo was released on CD in the US by Polygram Records on November 7, 1997. It was released in the UK by Domino on June 29, 1998. Gummo was released on R1 DVD in the US by New Line Home Video on March 20, 2001. The DVD features cast and crew biographies, as well as a photo montage featuring as the soundtrack an audio interview with Harmony Korine. It was released R2 DVD in Japan by Taki Corporation on April 25, 1999. It was re-released again on R2 DVD in Japan by Happinet Pictures on November 27, 2003, and once more by Pony Canyon on May 18, 2005. Gummo was also released in full-screen format on R4 DVD in Australia by Reel on October 20, 2005. 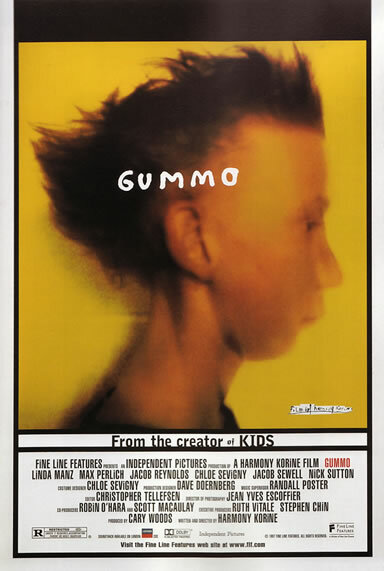 Gummo was released on laserdisc by Image Entertainment, Inc. on May 6, 1998. Gummo was first released on VHS by New Line Home Video in the US on March 24, 1998. 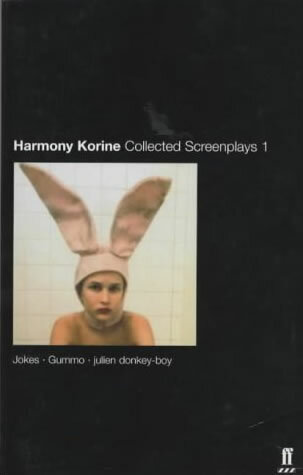 The screenplay for Gummo was included in Harmony Korine - Collected Screenplays, published in the UK by Faber & Faber Ltd on April 8, 2002. The book also includes the screenplays for julien donkey-boy and Jokes.